Santa Claus may be coming to town, but you’ve got your own workshop to worry about. How can you ensure that your product actually sells out when you have throngs of competition vying for those holiday shoppers? 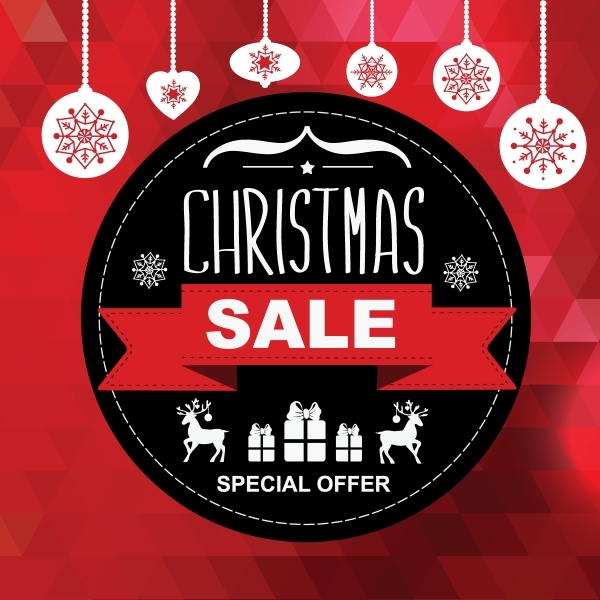 It’s time to optimize your Christmas sales approach. Just follow these simple steps, and you should be ready to restock your inventory before the new year. Hopefully you have plenty of social media followers and a healthy list of email addresses at this point. Your first step—if you haven’t already done this—is to start spreading the word. Now Dasher! Now Dancer! Now Twitter and Facebook! On Comet! On Cupid! On Pinterest and Instagram! Most major ecommerce platforms make it easy to send out newsletters and email blasts. For instance, Volusion has a built-in newsletter system that lets you archive subscribers and send out alerts with just a few simple clicks. As long as you draft an enticing message with high-quality photos, you’re bound to generate some sales. What is it that you’re trying to sell out of? Whatever it is, make sure to showcase it loudly and proudly on your home page. Nearly two-thirds of internet traffic comes from organic search results (e.g. Google), and most of that organic traffic is likely to go to your home page. Most ecommerce platforms make it easy to edit your homepage as needed. For instance, if you use Wix, just open your web page editor and select the “Add” (+) button in your left column. Then select “Buttons & Menus” to add a Call to Action button, or select “Media” to upload a banner advertising your product (make sure to hyperlink the banner to your product page). You can even click the “Widgets” button to create a Recommended Products bar and highlight your product from there. Most website builders have a similar setup. Just make sure to make your target product(s) as prominent and enticing as possible. But how do you make your product enticing – aside from using high-quality photos and calls to action? People are looking for discounts. If you can afford to do so, consider putting your item on sale. One way to do this is to create a coupon code from the back end of your ecommerce platform. Just access the “Discounts” or “Coupons” menu and follow the on-screen prompts to set up your discount. Then announce the coupon code as part of your homepage advertisement and social media campaign. 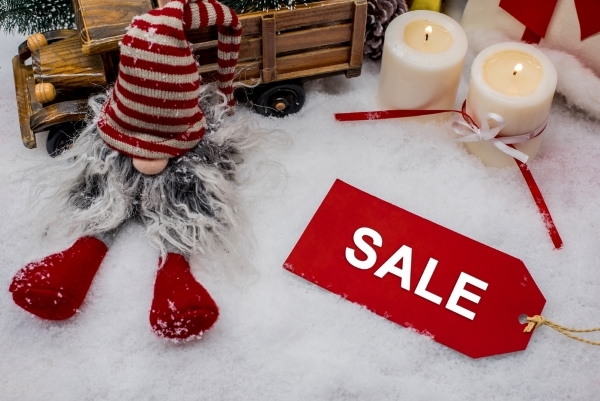 Another way to entice potential customers is to offer free shipping for the holidays. This can be achieved from your shopping cart settings. In some cases, free shipping can be more effective than a coupon code because it reduces the number of abandoned shopping carts. This leads us to another very important point. Did you know that as many as 74% of shopping carts are abandoned? Part of this is due to the added shipping costs, but frustrating checkout processes are also to blame. That’s why companies like BigCommerce offer single-page checkout. The quicker and easier your checkout process, the fewer customers will abandon their carts. Most of your traffic will come from organic results, but there’s still tremendous value in paid search. This is especially true during the holidays. Just create an ad, give it an enticing description, and let the search engines bring the customers to you. It doesn’t matter if your site has low search engine rankings, because paid results automatically appear at the top of the results. Best of all, you only pay when someone physically visits your page. The good news is that you may already have free ad credits and not even know it. Platforms like 3dcart offer free Google and Bing ad credits when you first sign up. If you haven’t signed up for an ecommerce website builder yet, now is a great time to shop around for one that offers those free credits. First and foremost, make sure that your product description is original. If it’s copied and pasted from the manufacturer’s website or another source, search engines will view it as a duplicate content and treat it as having little value. If you’re only selling your product on your business website, you’re not casting a wide enough net. It’s always a good idea to leverage the massive traffic that’s already being generated by other ecommerce providers. Most shopping cart platforms make this easy, so you should be able to streamline the process without losing track of your inventory or sales data. For example, Shopify integrates with Amazon, eBay, and Facebook Store. Just set up the appropriate apps from your dashboard, and you can manage all of these channels from one convenient screen. If you’re ready to bring a bit of Christmas spirit to your online store, check out our reviews of the best ecommerce website builders.